Extreme Excite catered various activities for Kids. Fun for Pre-School, Elementary , High School and even Colleges . 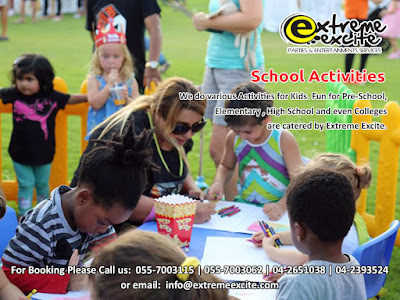 Mix of entertainment, Values and Creativity are the motives of Extreme Excite We can offer our services to help you achieve your goal for a successful Fun Festive Activities in your schools.